For many people, a divorce is a very emotional and trying process. For others, the divorce process is the first step in obtaining freedom from a difficult marriage. Still, for others it is both of these things and much more. Legally speaking, a divorce is the judgment granted by a court that declares you and your spouse are no longer legally married. 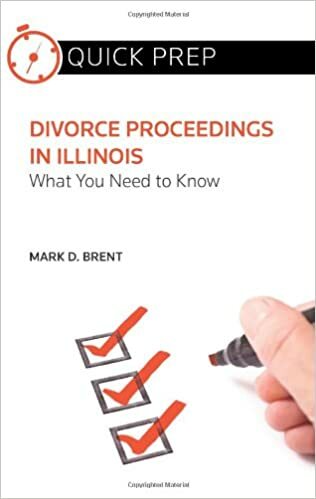 The official legal term in Illinois for divorce is “dissolution of marriage”. A couple is not officially “divorced” until the court enters a “judgment of dissolution of marriage” which occurs at the end of the divorce process, and process is concluded by the issuance of a Certificate of Divorce. While there are several grounds for divorce, including adultery and mental cruelty, most divorces are granted on the basis of irreconcilable differences. Irreconcilable differences simply means the parties have stopped living and acting as a married couple and there is no hope of resurrecting the marriage. While the phrase, “separate and apart” is used when talking about irreconcilable differences, it does not necessarily require the parties to be living under separate roofs. It only means that the parties have stopped living together (having a conjugal relationship) like a married couple. A divorce is initiated by one spouse requesting the divorce (the “petitioner” or “plaintiff”) filing a “petition for dissolution of marriage” with the court and serving it upon their spouse (the “respondent” or “defendant”). The Petition for Dissolution describes the issues to be addressed in the divorce, including, but not limited to, property division, custody, child support, and/or maintenance (alimony). Whether you are considering filing for a divorce or have been served with a Petition for Dissolution of Marriage, it is important to speak with an attorney. If you attempt to “do it yourself”, you may forfeit valuable rights or fail to recognize the future impact on your children and your finances. Tax consequences, health insurance for your children, who pays your children’s college expenses, who gets your pension or your spouse’s pension, dissipation of the marital estate, determination of marital and non-marital property, and many more issues may not be addressed as they should be without legal counsel. Some issues may not have consequences for years after a divorce, and you may not think about them when you are going through the process. You may know something about the divorce process, but you do not know what you do not know. Upon being served with the petition for dissolution, the respondent spouse has 30 days to file an appearance and an “answer” to the petition. If the respondent does not appear and file an answer, the court can enter a “default judgment”. Essentially this means the court has granted a divorce according to the terms specified by the petitioner. Obviously it is in the respondent’s best interest to act quickly when faced with a divorce to ensure their rights are protected. When a spouse is served with a petition for dissolution of marriage, a proposed “marital settlement agreement” may also be presented to them or may be presented to them during the course of the proceedings. This document can be thought of as a contract in which the parties agree to the terms of child custody, support, maintenance, and the division of property. If there are minor children, there may also be a joint parenting agreement. Getting to the point of a final judgment for dissolution of marriage (officially being divorced) may take a considerable amount of time depending on whether, and to what extent, you and your spouse agree upon the issues mentioned above. A court cannot enter a judgment for dissolution unless it has fully considered child custody, child support, maintenance (also known as alimony), and the division of property. Whether you are a spouse seeking a divorce or you have been served with a petition for dissolution, the attorneys at Drendel & Jansons understand that you are facing difficult decisions and we are prepared to guide you through this process. We also understand that every divorce is unique and we will take the time to learn what outcome you are seeking.